This list of 9 gadgets and gifts your Dad will love is sure to be useful when you are next buying for your Father. Choosing a gift for your Dad can be difficult because you have probably given him a lot of gifts before. It is difficult sometimes to buy for a family member because eventually we run out of ideas. There are many occasions on which you might buy a gift for your Father. Father's Day, his birthday, Christmas and probably others. If you are looking for an interesting gift idea for your Dad then take a look at this list for some cool ideas. When considering a gift for your Father think about his hobbies because this will help you to narrow it down. If he likes to collect things, play a certain sport or watch a certain television show this is a good place to start. This is more than just a boring ordinary pen because it has many functions. 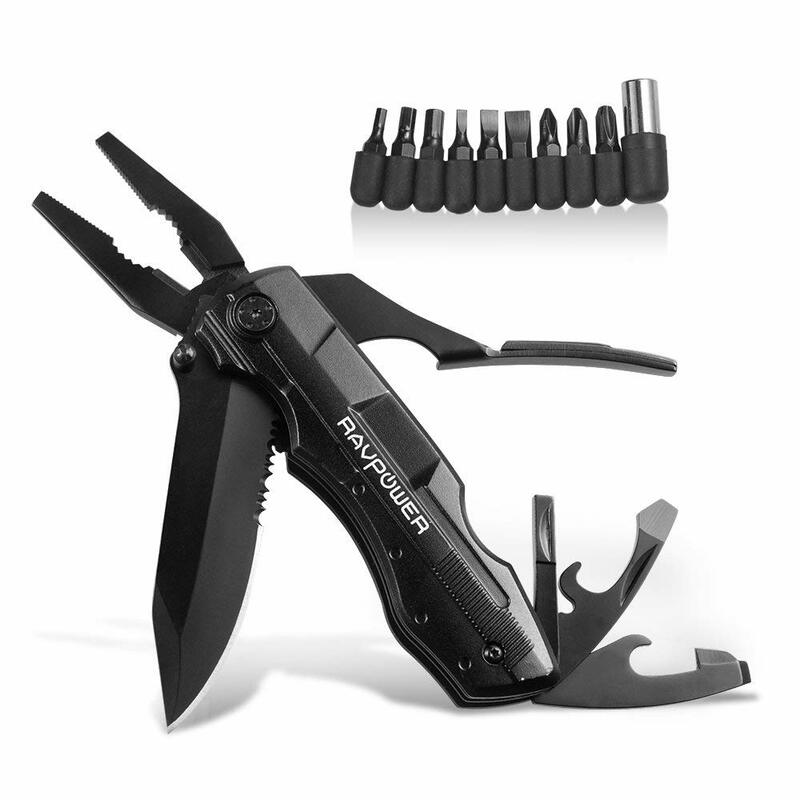 It has been designed as an easy to carry self defense multi tool but it also has other functions. It is discreet and easy to carry but also very tough. 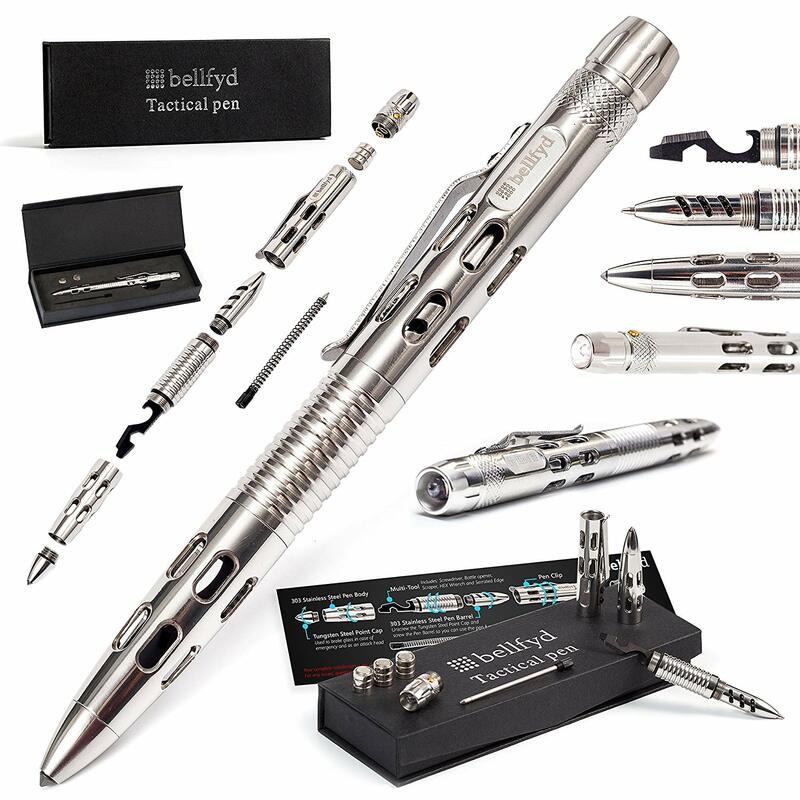 The pen is made of military grade tungsten steel. The makers refer to it as a combination tactical strike pen. It features a sharp point, a glass breaker, and LED light, a screwdriver, a wrench, a bottle opener and more. If your Dad is the type who loves camping, fishing, hiking or other outdoor activities this multi-tool is a good choice. The tool performs as pliers, a can opener, a screwdriver, a saw blade and a bottle opener. It is easy to use and folds into a compact shape for carrying. 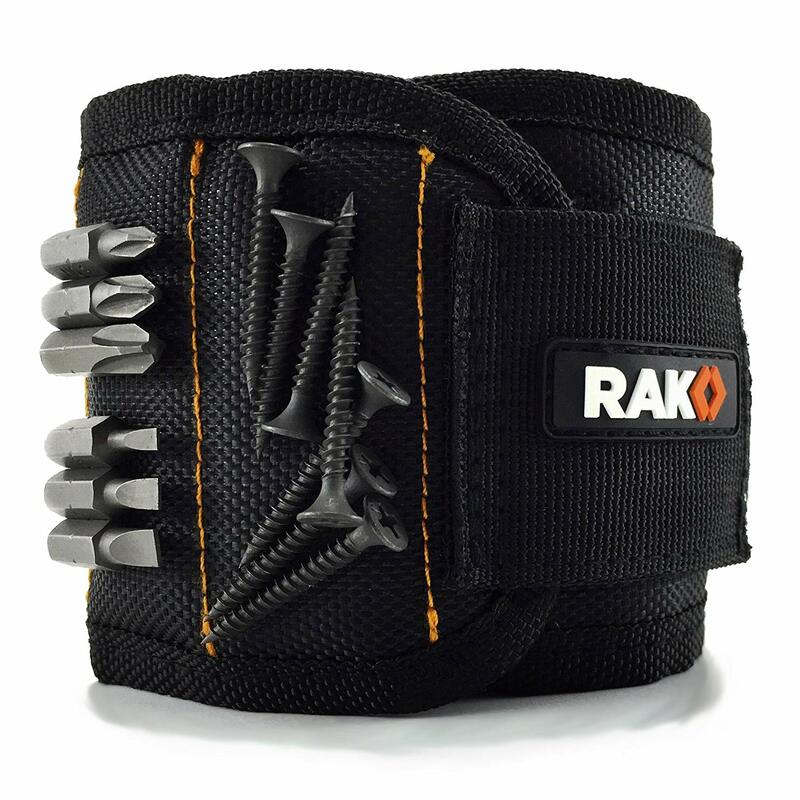 Your Dad will get good use out of this handy wristband if he has a home workshop. It is a convenient place to put screws and other metal bits and pieces. Keep drill bits or nuts and bolts nearby. This is great because it is easy to misplace small items when you are working. 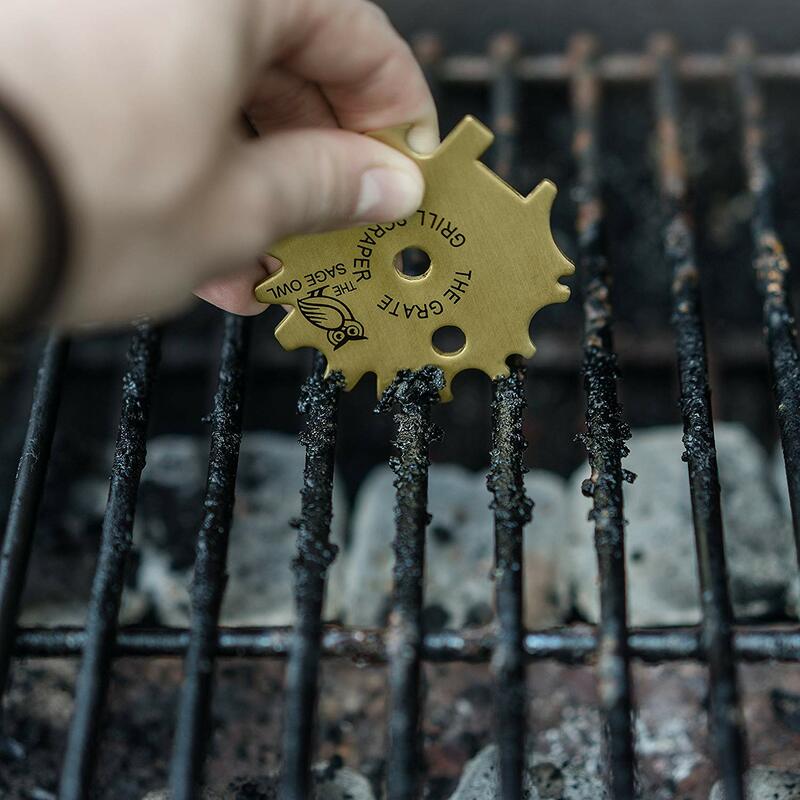 Any Dad who loves to BBQ will appreciate this handy gadget. It is designed to keep the grill sparkling clean. Your Dad will find it convenient and useful. You will not have to worry that it will damage the grill because it is safer to use than a wire brush. Wire brushes are commonly used to clean BBQs and grills but some are too harsh and can damage the surfaces. 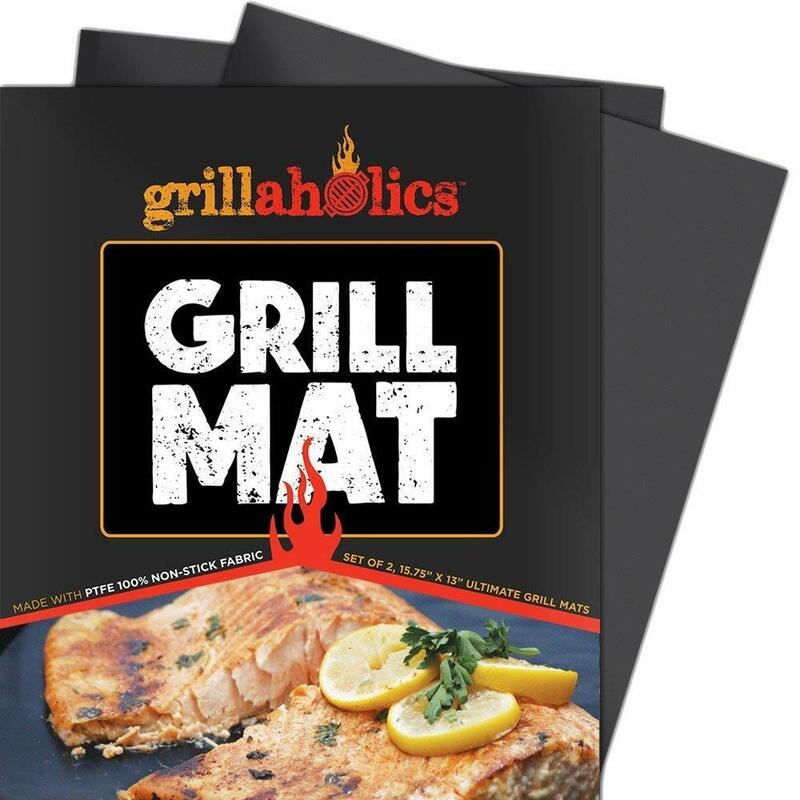 You can rely on these grill mats because they come with a lifetime warranty. They are durable and they work with any kind of grill. You can use them to cook eggs, meat, vegetables or anything else. These mats can withstand temperatures of up to 500 degrees and can also be used as a baking mat. Your Dad will love how well these function and how they keep the BBQ cleaner. 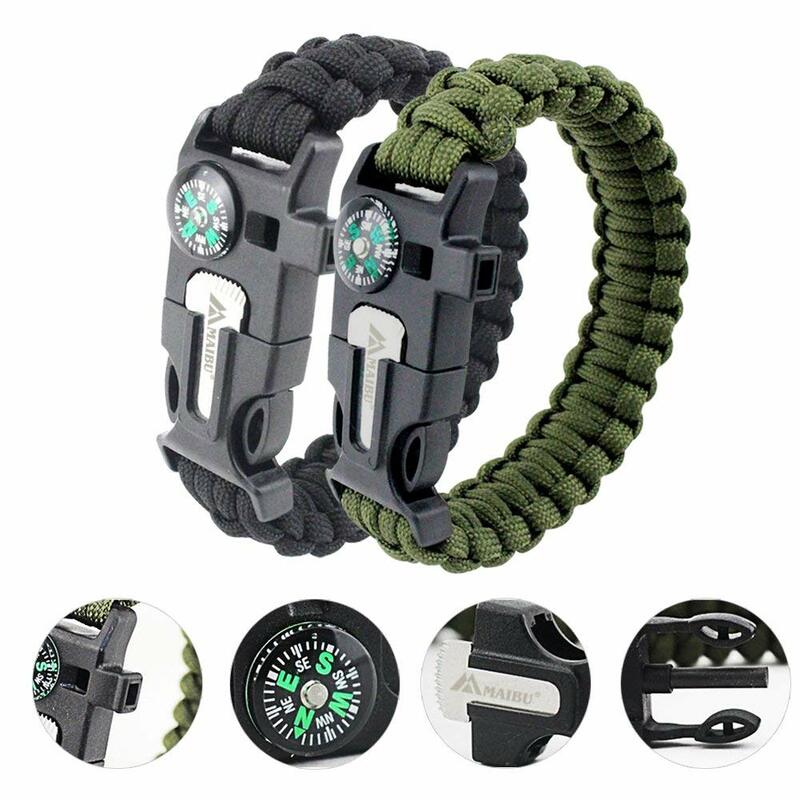 When wearing this survival bracelet you will have several important tools nearby. 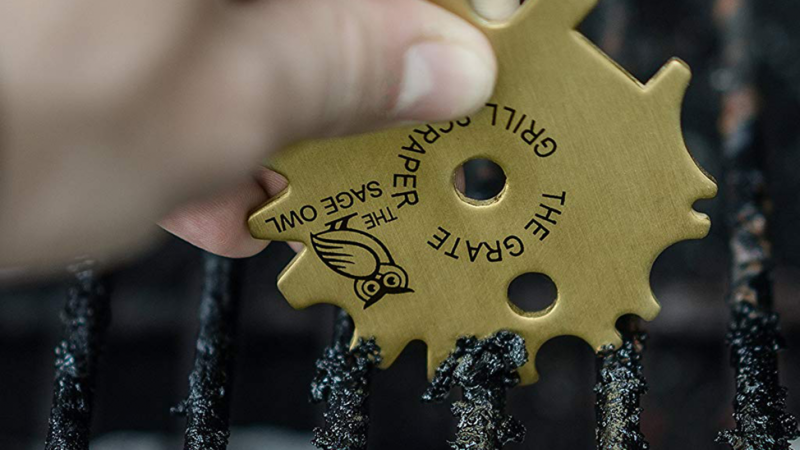 You can start a fire, navigate, cut through ropes and more with this tough bracelet. It is designed to be comfortable while staying firmly in place on your wrist. If your Dad enjoys extreme sports or outdoor activities he might find this very useful. If your Dad loves golf and has a great sense of humor he is sure to find this cute golf set amusing. 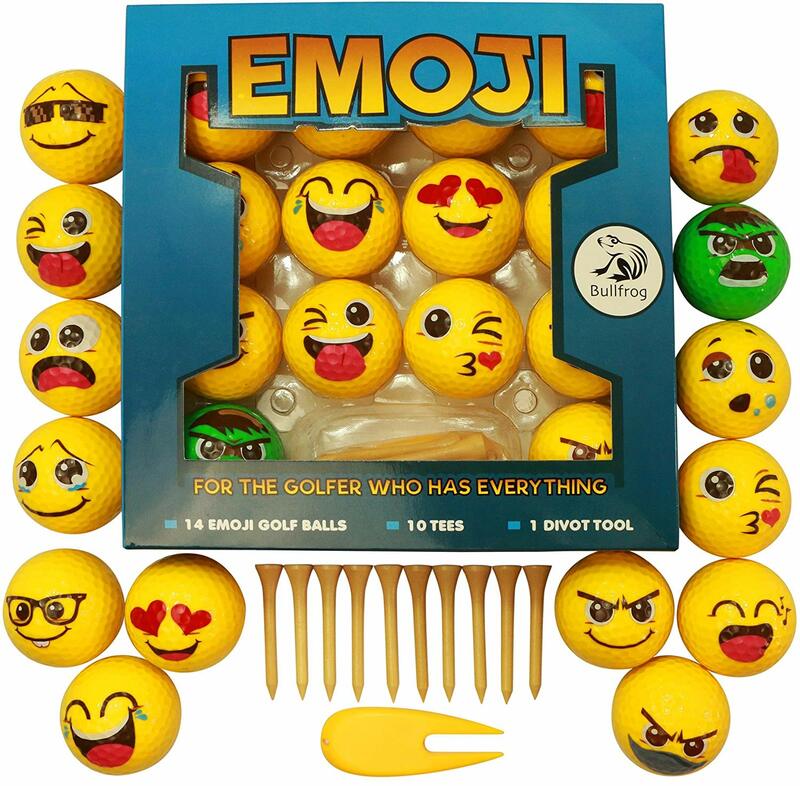 There are fourteen balls, ten tees and one divot tool included. These golf balls are sure to stand out on the green and be easy to spot. If your Dad loves to have a cold beer he will like these beer chillers. 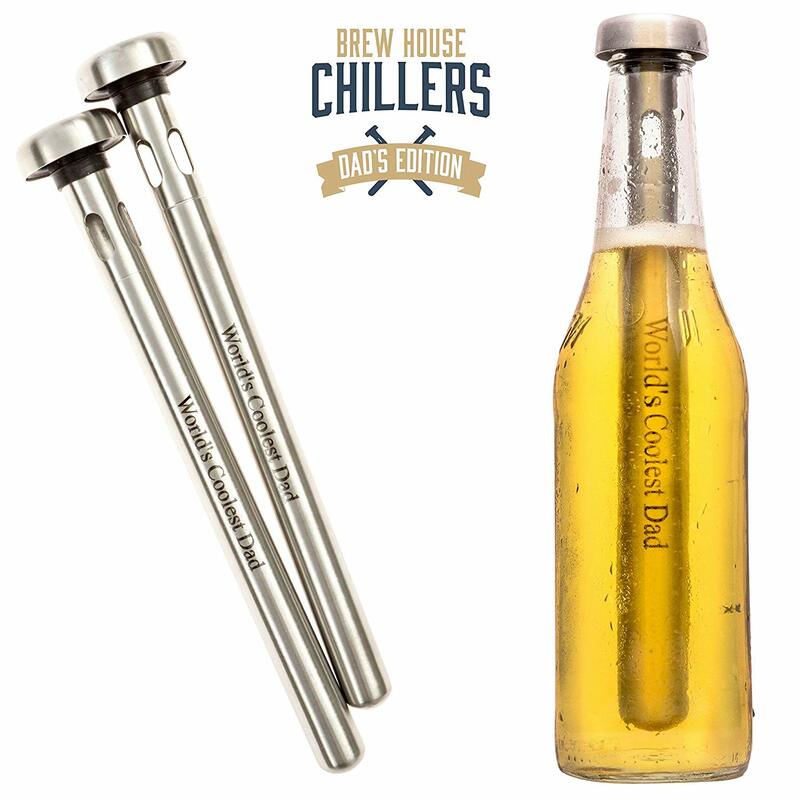 These 8 inch chilling sticks take only 45 minutes to freeze and can cool down a hot beer in record time. 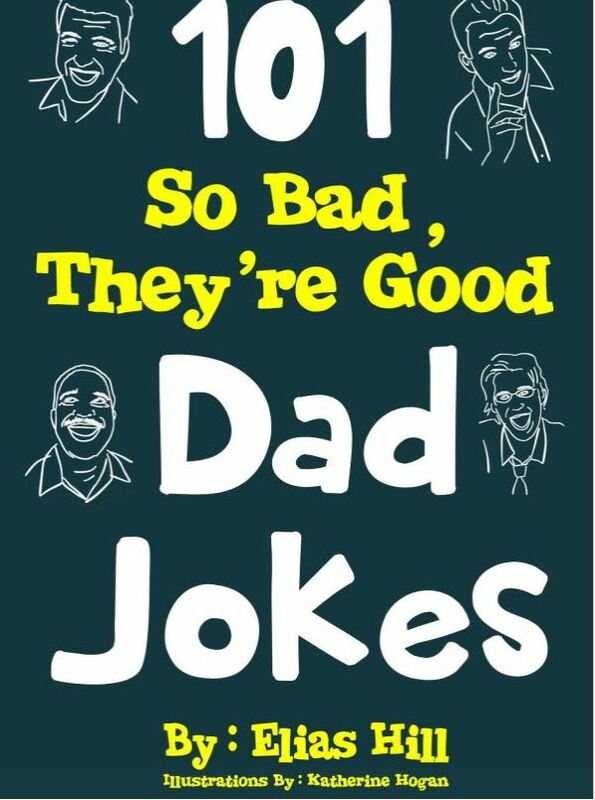 Your Dad probably has his own material but just in case he runs out of Dad jokes this book will give him some new ideas.